Opioids killed more than 42,000 Americans in 2016, according to a new final estimate by the CDC. And nearly half of these deaths were caused by potent synthetic opioids like fentanyl. In 2016, 63,632 people in the US died from a drug overdose, a new report from the Centers for Disease Control and Prevention has concluded. And many more of those deaths were caused by potent opioids obtained on the streets than in years past. The CDC tally is a slight downgrade from a preliminary estimate released by the government last fall, which found there were 64,070 overdose deaths that year. But the overall conclusion remains true: Overdoses caused by all categories of drugs (alcohol-related deaths are counted separately) rose from 2015 to 2016, with the largest gains seen among synthetic opioids like fentanyl and its analogs. According to the new report, there was a roughly 21 percent increase in the age-adjusted overdose death rate from 2015. The 42,249 deaths involving at least one opioid (some deaths involved more than one drug) and the 19,413 deaths involving a synthetic opioid other than methadone accounted for a 28 percent and 100 percent increase from 2015, respectively. After synthetic opioids, the largest net increase (52 percent) was seen with cocaine—there were 10,375 deaths from it in 2016. Since 1999, and including the latest numbers, there have been over 600,000 overdose deaths in the US, with 351,000 of those deaths caused by opioids. The authors say it’s clear now there have been three distinct waves of the opioid crisis. The first wave began in the 1990s and primarily involved prescription painkillers, the second began around 2010 and was driven by heroin use, and the third wave, driven by fentanyl analogs, started up around 2013. The authors note that fentanyl is now being mixed into other drugs, since it’s often cheaper to produce and sell. 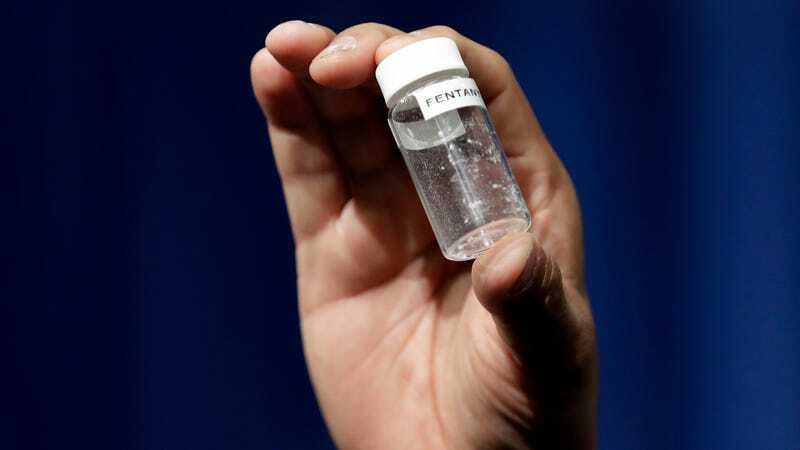 Dealers are cutting their heroin or cocaine with fentanyl to lengthen their supply, or marketing it as counterfeit opioid and benzodiazepine pills. The report only has specific data on drug deaths from 31 states and Washington DC. And similar to the national picture, the largest increases were seen with synthetic opioids. Twenty states had increases in the death rate from synthetics in 2015, while DC in particular had its rate more than triple. Despite grand promises from the Trump administration, it doesn’t seem as though the opioid crisis will get better anytime soon. And it might even be worse than we think. A study published last year suggests that these official reports are still undercounting the death toll from opioids. It found that after accounting for omissions on a death certificate that leave out a specific drug, there might have been almost 25 percent more deaths from opioids than was estimated from 2008 to 2014. For 2016, that might amount to an extra 8,000 opioid deaths, the study’s author, Christopher J. Ruhm of the University of Virginia, told the Washington Post Thursday.